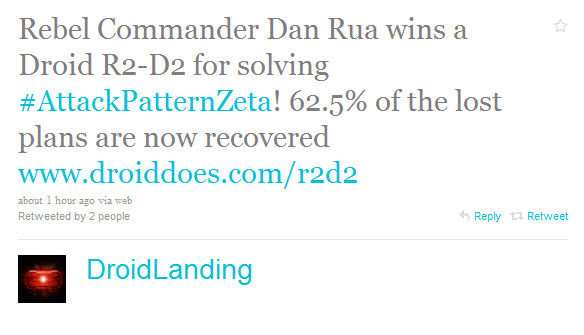 Congrats Dan Rua on the R2-D2 DROID 2 Win! Another Droid Life Forum member wins a special edition R2-D2 Droid 2! Congrats danrua (aka Dan Rua aka @danrua)! Check out his post acknowledging the amazing group of people working so hard on this R2-D2 secret plans hunt here. As we posted earlier, Dan unlocked the boot animation through a process I’m not sure I can even begin to explain. Amazing work. That’s our second member to win one of the 8 devices available (Andrew Tarr was the first!). Join our forums now to help the team unlock the last 3 sections! DROID Incredible Shipping with SLCD Screens "End of September"